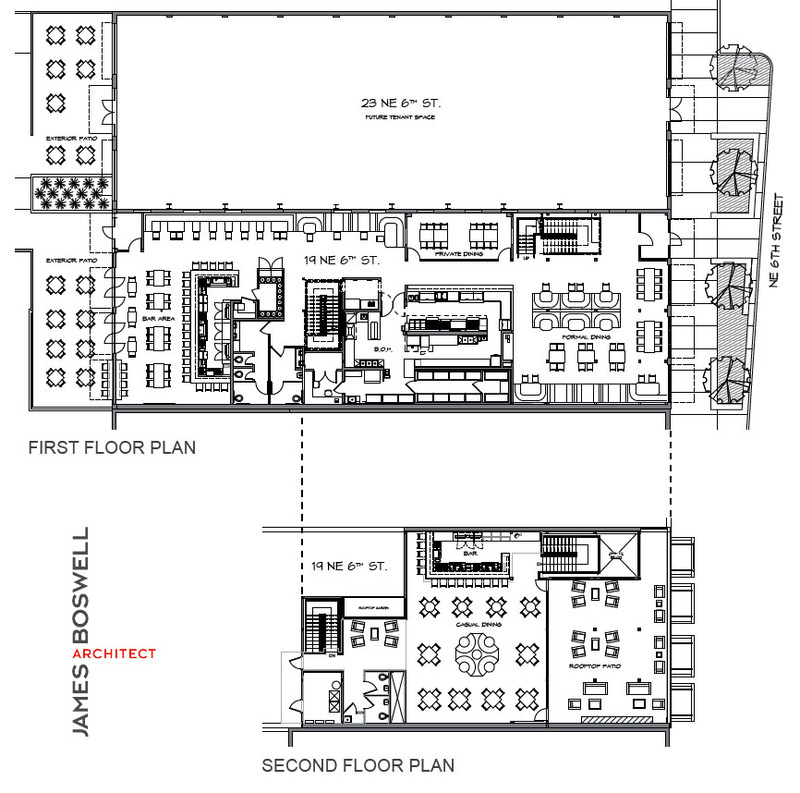 Twin warehouse buildings at 19 and 23 NE 6th will be converted to restaurant and other lease space by an LLC headed by local developer Basil Rayan. 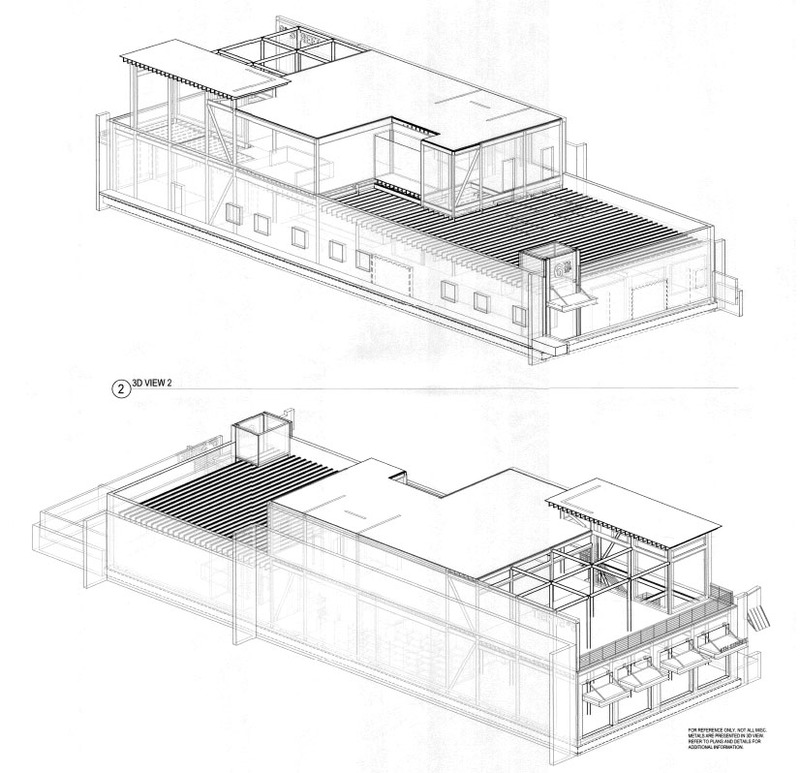 The design calls for a large restaurant for the west building, with an indoor/outdoor space in an added 2nd level which will offer panoramic views of the skyline. 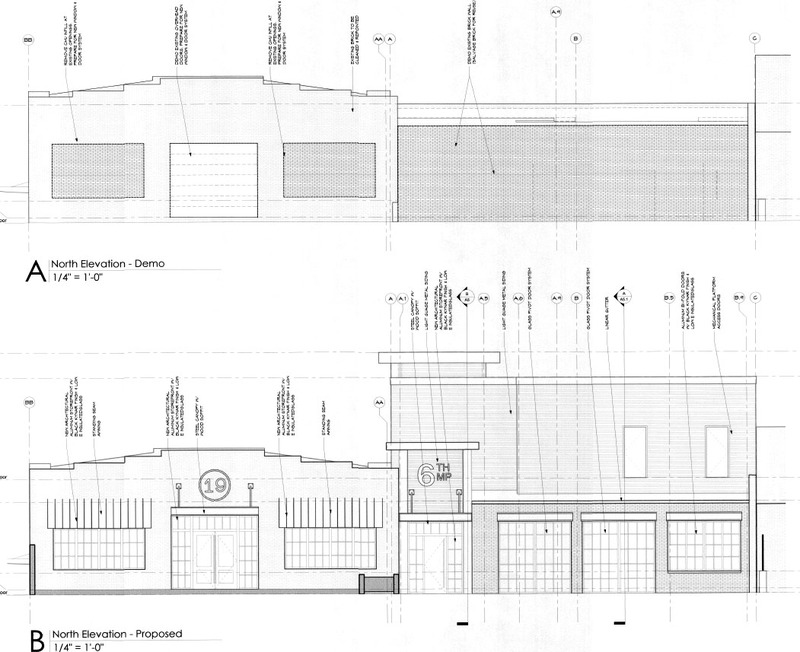 Rayan isn't ready to reveal the restaurant and bar operator but a lease has been signed and plans show a large bar area which will open to a new back patio, a formal dining section in the front with second floor casual dining and a rooftop patio featuring a pergola structure. The group owns vacant lots to the north which will serve as parking with ingress and egress from NE 7th. The 7,000 square foot east building will also see a thorough renovation with tall ceilings and an industrial vibe. Rayan said businesses are being sought that fit comfortably within the overall development of the area and offers something that compliments the other tenants. 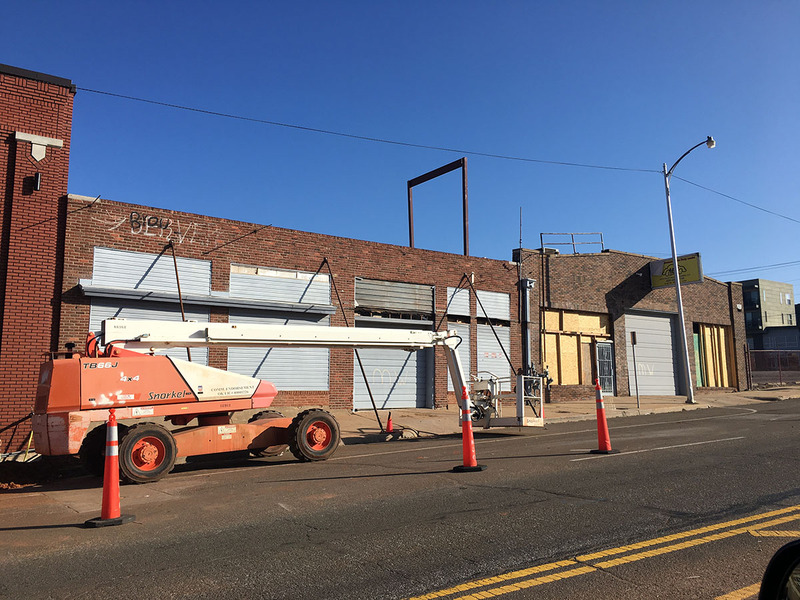 The entire project is directly east of Central Exchange, and construction there is well underway to convert two former telephone company buildings into an elaborate mixed-use project. 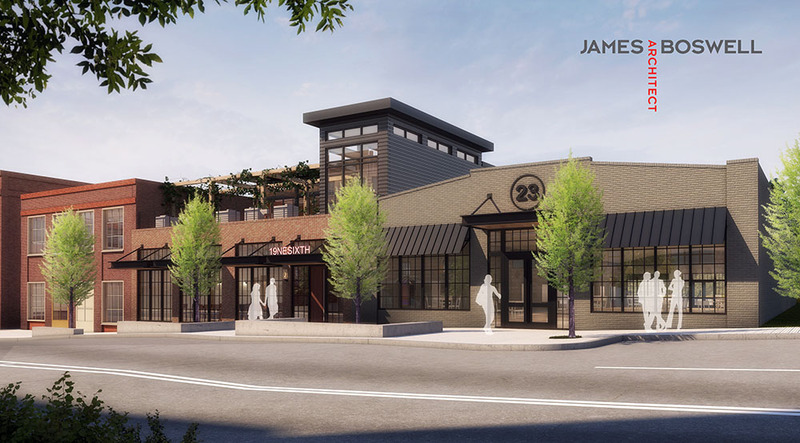 The two developments are working together to make improvements to NE 6th and 7th streets around and between the properties to encourage walkability and create a more pedestrian-friendly area. Further to the west, Heartland Payment Systems is is planning a 7-story building for their new headquarters. 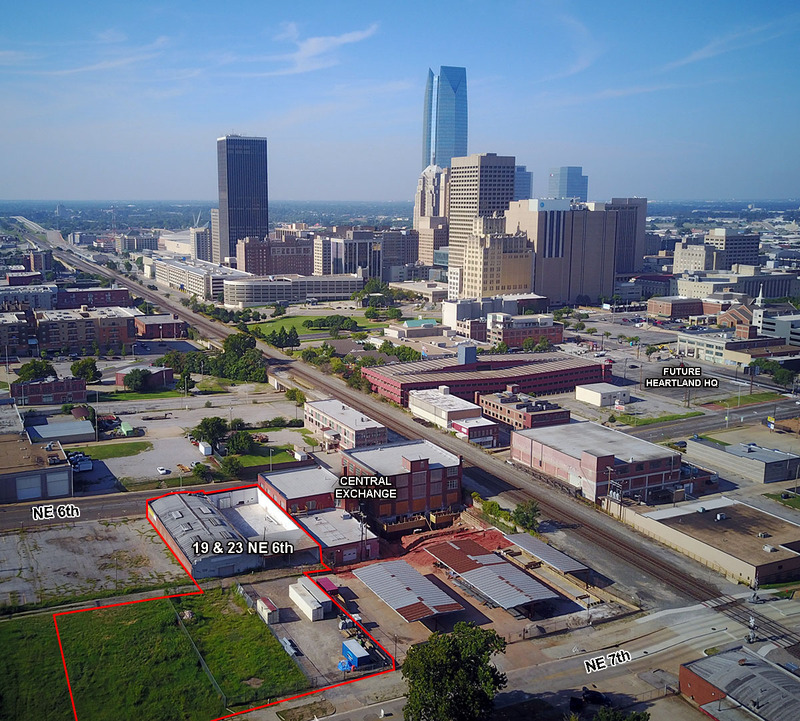 Once neglected, the area between the railroad tracks and I-235 is now full of activity, with Prairie Artisan Ales opening last year on NE 8th as a part of another warehouse renovation project. At 330 units, the Metropolitan Apartments at 800 N. Oklahoma Avenue is one of the largest housing complexes in the central core and has seen high occupancy rates since opening in 2016. The Metropolitan recently changed hands for a breathtaking $63.7 million. 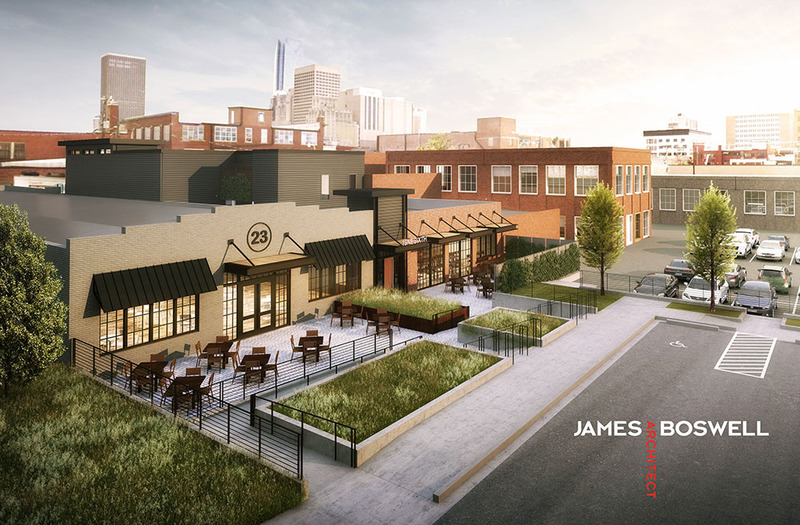 Citadel Construction is performing the renovation and improvements and the architect is James Boswell of Tulsa who has been involved in several distinctive projects, including the widely renowned Jones Assembly in Film Row. This looks like a great project! Any word on when construction will start? If you look at the drone photo you can see the roof of the east building is already off and there is construction equipment on site. Man, what a hot spot 6th has become. Really excited for this! Filling in these gaps can really connect all of these areas together. Metropolitan Apartments has done much to drive the development east of the RR tracks. And there is more coming. The restaurant and bar will be huge. Like close to 10,000 square feet. 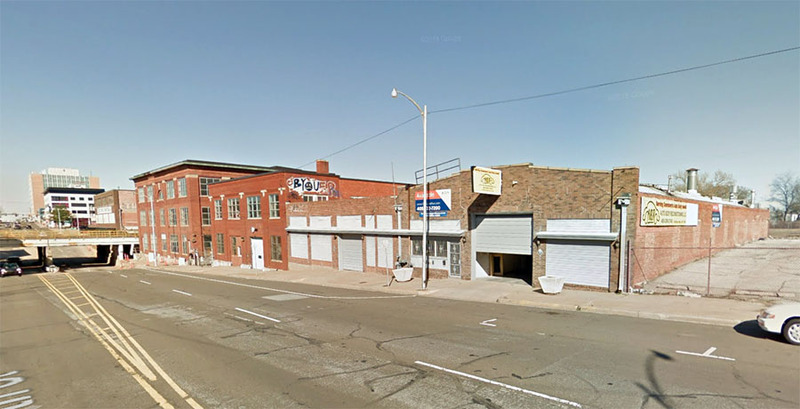 Pete, is there anything pending for the vacant lot on the corner of 6th and Oklahoma directly East of this? Drove by there today - its right across from the Metropolitan and a nice size lot. It may be under contract but I'm not sure of the potential buyer. DD/AA infill is going to be amazing with stuff like this continuing. I wish we could fast forward 15 years and see what we have in this area. This is exciting! The more infill in this area, the better - and these renderings look great! My only criticism - and it's a relatively minor one - is that both this project and the Central Exchange project will have parking lots behind them that back up to 7th street. 7th, 8th, and 9th, in the sandwich between Automobile Alley and the Metropolitan, have an opportunity to become very neat areas with a whole lot of character; basically, spillover areas from Automobile Alley as the district expands. I would hope that the south side of 7th doesn't just become a sea of parking. Parking lots are pretty easy to pull up for a higher and better use, though, so it's not really *that* big of a deal. I'm super interested to see how this area continues to grow and evolve! With more retail and restaurants moving into this area, more housing would make sense too. Any idea what the restaurant is? I've always thought this was a vastly underutilized part of DT and love to see these old buildings coming back to life. It is on my way to and from work every day so I can take pics whenever. I met someone Saturday night at the Vanessa House soft opening that said they heard a brewery has signed a lease here. This person did not know the brewery and asked me if I knew. I don't know anything about this so I could not help. Can anyone confirm/deny this? Steel starting to go up. 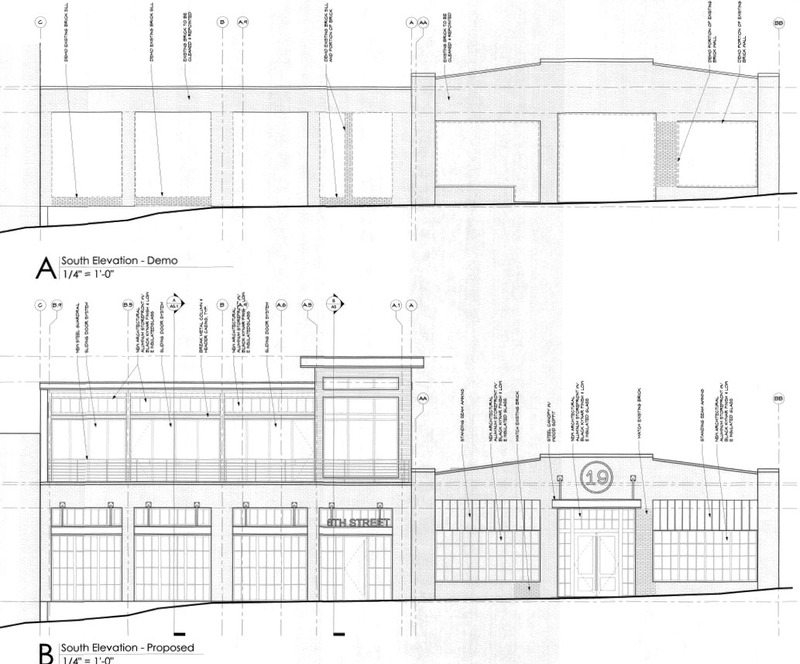 I don't mind a big restaurant by any means, but at some point, developers need to begin developing significantly smaller. We need more spaces that are the ≤175% the size of Urbun.